How can we help? Contact Unified Solutions , LLC, MSW, LCSW. Please feel free to call us at 317-500-2201 or send us a message day or night using the form below. 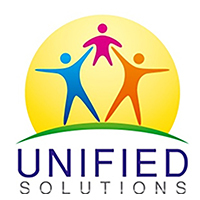 Unified Solutions provides individual and family counseling to children and adults with a wide range of mental health and behavioral issues. Our multi-disciplinary team includes licensed clinical social workers and licensed mental health counselors.